The following statistical reports are available for download or print using Adobe Acrobat Reader. 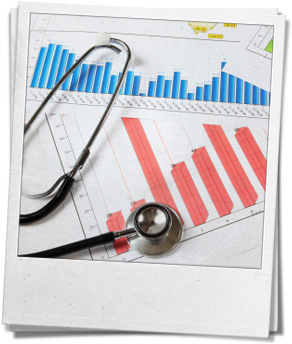 For Department of Health Annual Reports, which highlight the number of Department services provided, see Department of Health Annual Reports. The Community Health Needs Assessment Report, a joint undertaking by the Healthy Anne Arundel Coalition, contains comprehensive information about the health needs and health behavior of Anne Arundel County residents. 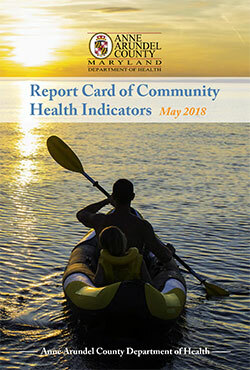 The annual Report Card of Community Health Indicators provides a brief overview of the health status of Anne Arundel County. The reports contain information on demographics, mortality and leading causes of death, selected health indicators and special health concerns. Youth Suicide: Trends in Youth Suicide in Anne Arundel County 2012-2016. 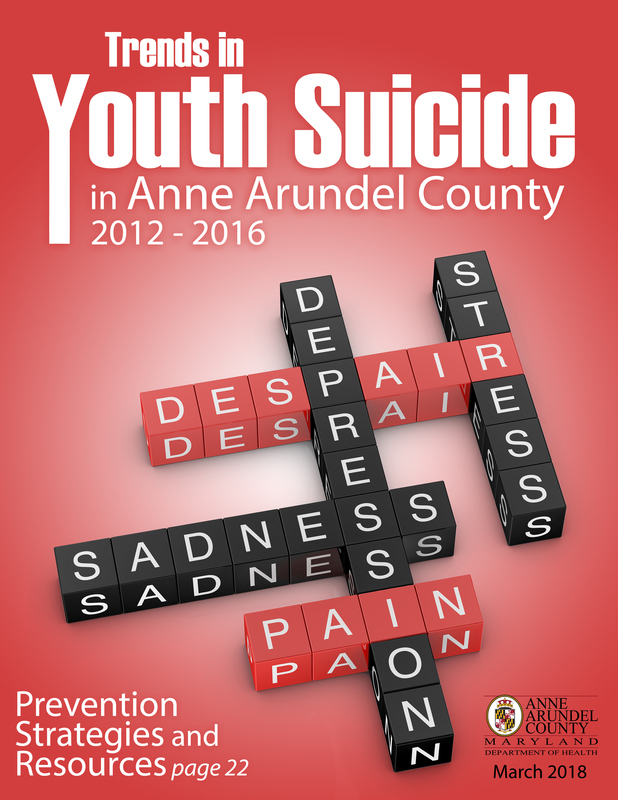 This report has data on attempted and completed suicides among Anne Arundel County youth ages 10-24. It includes strategies on suicide prevention and intervention. These reports provide a summary of causes and risk factors for infant deaths in Anne Arundel County. The information has helped the Department of Health, in its partnership with other government agencies, health care professionals and community leaders, to develop strategies to reduce infant mortality in the County. These reports summarize the prevalence of overweight and obesity in Anne Arundel County and identify risk factors for overweight and related health problems. For more information about Anne Arundel County health statistics, call the Office of Assessment and Planning at 410-222-4224 or Contact Us.